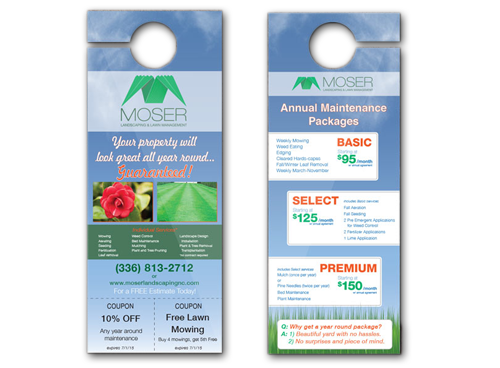 A door hanger is a perfect solution for on-the-go promotions. A great way to promote businesses like landscaping, pet sitting, power washing, lawn care, home maintenance and more. Local religious centers, youth outreaches, fundraisers, and various non-profit take advantage of the advertising opportunity door hangers provide.